This outstanding example of a 2019 Land Rover Range Rover Velar S is offered by Jaguar Land Rover Albuquerque . Want more room? Want more style? This Land Rover Range Rover Velar is the vehicle for you. Pull up in the vehicle and the valet will want to parked on the front row. This Land Rover Range Rover Velar is the vehicle others dream to own. Don't miss your chance to make it your new ride. No matter the terrain or weather, you'll drive at ease in this 4WD-equipped vehicle. With exceptional safety features and superb handling, this 4WD was engineered with excellence in mind. The Land Rover Range Rover Velar S will provide you with everything you have always wanted in a car -- Quality, Reliability, and Character. Jaguar Land Rover Albuquerque is excited to offer this 2019 Land Rover Discovery. Want more room? Want more style? This Land Rover Discovery is the vehicle for you. Pull up in the vehicle and the valet will want to parked on the front row. This Land Rover Discovery is the vehicle others dream to own. Don't miss your chance to make it your new ride. With 4WD, you can take this 2019 Land Rover Discovery to places roads don't go. It's all about the adventure and getting the most enjoyment out of your new ride. You can finally stop searching... You've found the one you've been looking for. This 2019 Land Rover Range Rover Velar R-Dynamic SE is proudly offered by Land Rover Santa Fe This SUV gives you versatility, style and comfort all in one vehicle. Pull up in the vehicle and the valet will want to parked on the front row. This Land Rover Range Rover Velar is the vehicle others dream to own. Don't miss your chance to make it your new ride. This 4WD-equipped vehicle will handle beautifully on any terrain and in any weather condition your may find yourself in. The benefits of driving a 4 wheel drive vehicle, such as this Land Rover Range Rover Velar R-Dynamic SE, include superior acceleration, improved steering, and increased traction and stability. This is about the time when you're saying it is too good to be true, and let us be the one's to tell you, it is absolutely true. New vehicle pricing includes all offers and incentives. Tax, Title and Tags not included in vehicle prices shown and must be paid by the purchaser. While great effort is made to ensure the accuracy of the information on this site, errors do occur so please verify information with a customer service rep. This is easily done by calling us at (505) 474-0888 or by visiting us at the dealership. 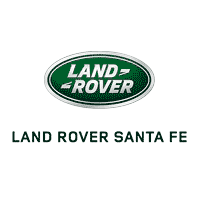 Land Rover Santa Fe	35.6326819, -106.0228486.